Besides the brownish maroon leather coat of Will Smith from the movie I Robot, another jacket is also available here, which can become an integral part of your wardrobe. Will Smith is one of the most badass and lovable Hollywood stars who has his unique personality and charm to make people laugh with him as well as like him from their core. This is a reason; many Hollywood fans to look cool and stunning just like him happily embrace his style. On the other side, his sci-fi film I Robot is included in one of those films, which increase the graph of his popularity. In this way, you will love this Will Smith I Robot Jacket for Men. Jackets are indeed the more than just a part of the dressing but the necessity to have protection against weather. 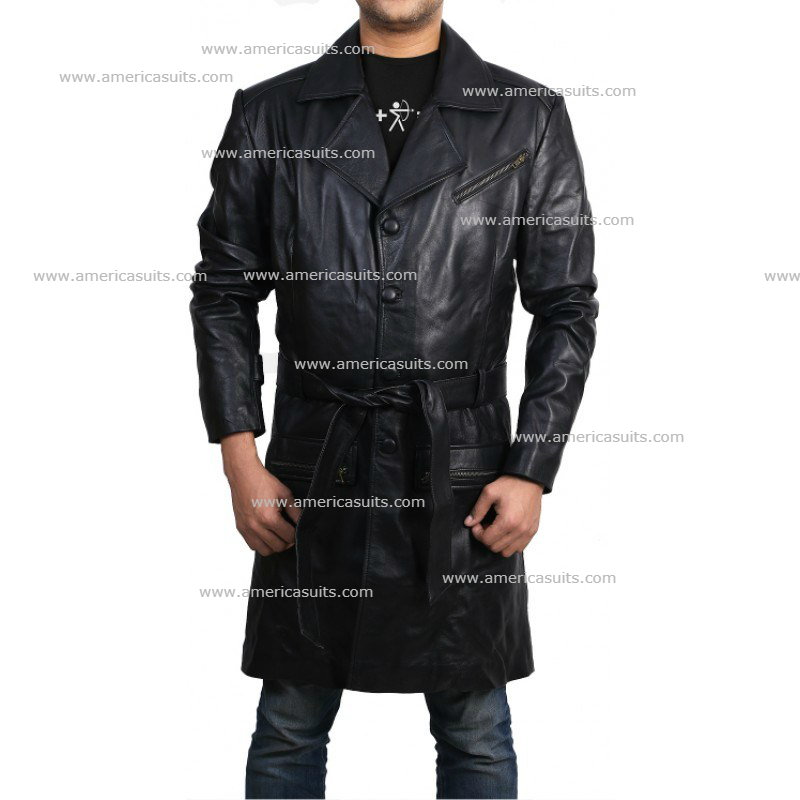 In this way, this jacket is a perfect two-in-one combination of not only a jacket but the trench coat as well. It means you can also enjoy the rainy weather while wearing this jacket to worry nothing about getting wet. Besides, this is best outwear to wear on during the snowy weather as well. This jacket of Will Smith is available in the warm and mysterious black color to suit your dressing taste perfectly. More importantly, this is an exquisite replica of the jacket, which is made by Hollywood designers to create it, especially for Will Smith. In this way, you can easily impress the viewers to give the idea that this jacket is the same jacket worn by Will Smith or some expensive designer has designed it especially for you. This jacket must keep every eye on the occasion you go while wearing it. Not only this, this is perfect for you to wear on your date to conjure the heart of your woman and increases her love for you. This jacket of Will Smith also has other variety of features, which enhance the uniqueness of it. The collar of the jacket has a large lapel style, which is crafted with the high-quality soft fur to make it soft and soothing around your neck. The button-up closure provides you an option to close the jacket in the time of need. Both sides of chest held pads to provide you safety against the object if it hits on your chest. Besides, the two large pockets are placed inside to give you the opportunity to carry your things anywhere you want. The exterior material used in the leather is the high-quality leather made up with the sheepskin. On the other hand, the polyester lining is used in the interior of this jacket to provide you comfort against the harsh fabric of leather. Another pair of large pockets are located around the waist side to make it easy for you to carry your gadgets if you carry a lot. In the end, the waist of the jacket contains the loop for holding a best. This can make it flexible for every size to wear it.